The Galapagos Safari Camp, located in the highlands of Santa Cruz Island, is the first of its kind in many ways. 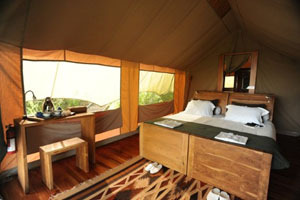 The construction of the camp was inspired by the well-known African safari model, so its rooms are set under tents designed to blend into the environment. Both the camp’s central lodge and nine surrounding tents are open-air and offer views of the western islands of this volcanic archipelago. A wonderful and action-packed multi-day itinerary has already been organized for travelers looking to take advantage of this opportunity. The schedule is meant to familiarize guests with the island’s unique geography and wildlife both on land and at sea. 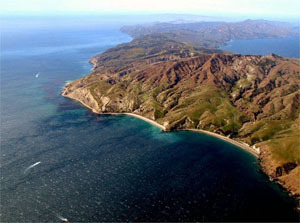 Santa Cruz Island features a geographical and biological cacophony that has rightly been the subject of scientific study ever since it was discovered. Travelers to the camp will enjoy hikes around volcanic craters, tunnels and beaches, as well as familiarize themselves with the astounding variety of birds, animals, and plant life that made the Galapagos Islands famous. A yacht has also been chartered by the camp at this time to offer guests a cruise to nearby Plaza Island. 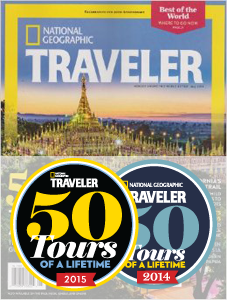 All of these activities, tours and treks with naturalist guides, along with full board, transfers around the island and four nights in the camp’s luxurious accommodations would be an amazing addition to one of our longer Galapagos Island Tours including either a sustainable Galapagos cruise around the islands, or an Amazon eco tour on the Ecuadorian mainland.